Men’s grooming is an experience that is highly focused on scents, with nearly every product touting the experience to be had with their special blend of olfactory elements. 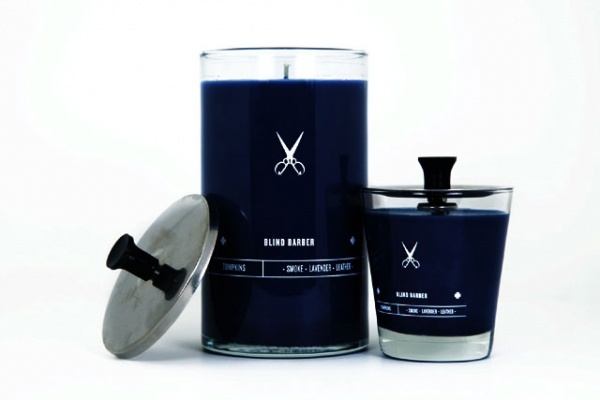 So when Blind Barber teamed up with boutique New York candle maker Joya for a collaborative candle, they wanted to capture everything special about the barbershop experience. 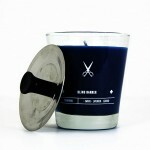 The result is a beautiful candle that combines notes of Honey, Smoke, Leather, and Lavender to produce an experience unlike any other. Available in 6oz & 23oz sizes, you can grab yours at the Blind Barber, VANE concept store at 125 Rivington St. NYC. 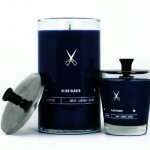 This entry was posted in Accessories, Fragrance and tagged Blind Barber, Jeff Laub, Rivington St, vane. Bookmark the permalink.